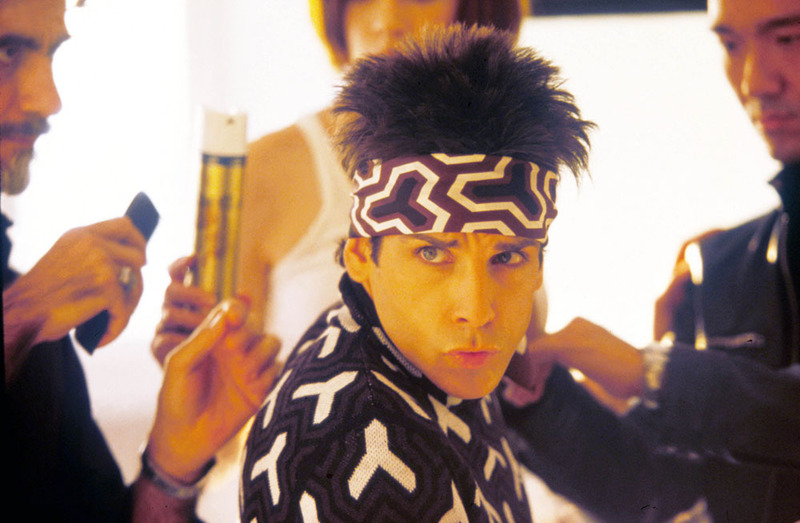 Derek Zoolander has made his first runway appearance in over a decade at Valentino’s AW15 show this afternoon. Yes, you read right; actors Ben Stiller and Owen Wilson crashed the catwalk at the brand’s Paris Fashion Week show in full Blue Steel character as Derek Zoolander and Hansel McDonald. Confirming that there will be a sequel to their hit 2001 movie, the actors chose Valentino (one of the more serious haute houses on the Paris Fashion Week schedule) to make their catwalk comebacks and even met with editor Anna Wintour to discuss their career moves. The real-life fash pack went wild for the fictional, really really ridiculously good looking male models, who worked embroidered satin suits from the new collection and successfully secured the award for the most unexpected finale guests of the season. All showmanship aside, designers Maria Grazia Chiuri and Pierpaolo Piccioli presented an uber-glam op art collection, opening with graphic monochrome evening dresses before confirming gothic, Victoriana lace as a key trend of the season. Next came a selection of broderie anglaise minidresses in saturated colours, which developed into trademark Valentino evening silhouettes when patchworked with billowing black chiffon layers. 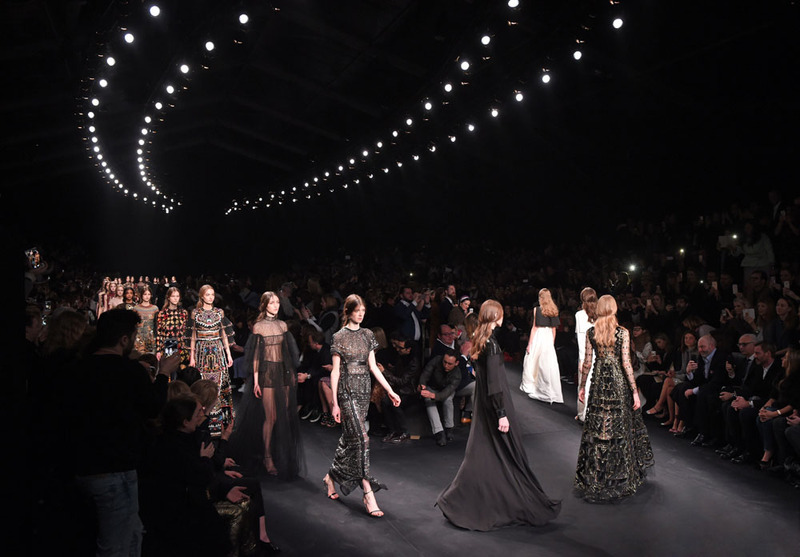 See all the pictures of the full Valentino collection in the gallery above.